Mary, Mother of the Light Maronite Church is a Catholic Mission of the Eparchy of Saint Maron of Brooklyn. Eastern and Oriental Catholic Churches in communion with the Bishop of Rome. the Syro-Maronite Church has parishes and missions on six continents. 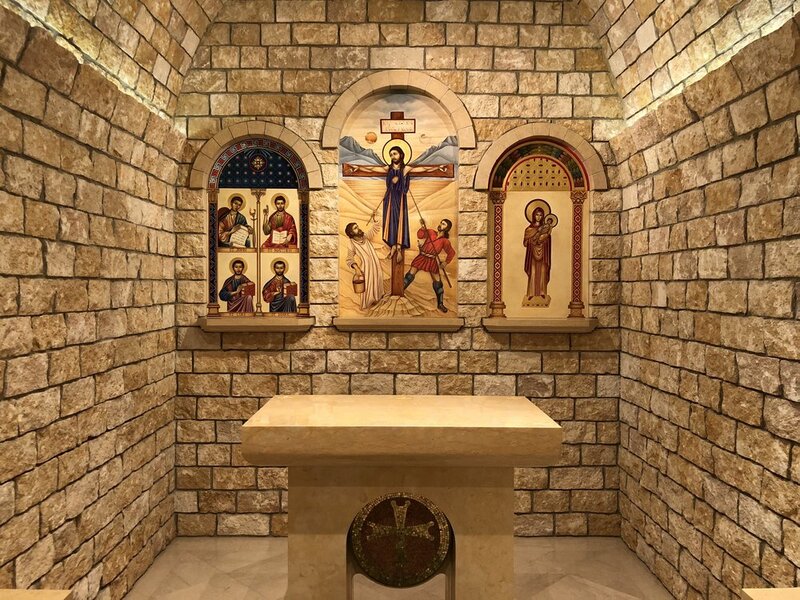 Worship in the Syro-Maronite Church is fundamentally liturgical - the public acts of worship by the Church constitute the fullness of Christian adoration of God. With liturgical hymnody and prayers dating back over 1700 years, the Syriac liturgical tradition is rich and deeply poetic. Originating in the ancient city of Antioch, the Syriac Churches arose from the same semitic worldview as our Lord and His Apostles. Rooted in the Judaic biblical tradition, the narrative traditions of the Ancient Near East, and the Syro-Aramaic language, the Syro-Maronite tradition expresses Christianity through the ancient ‘lens’ of the Semitic peoples of Syria, Lebanon, and Mesopotamia. Evangelized directly by St. Peter, St. Thomas and the other Apostles, Syriac Christians have preserved the Apostolic Faith throughout centuries of persecution, isolation, and influence from outside parties. Through the influence of the Syriac Fathers who developed our theological tradition and the Monastic origins of our Church which applied the ascetical and spiritual foundations of our faith, the Syro-Maronite Church passes on the faith of the Apostles and their successors to each successive generation. Mary, Mother of the Light Maronite Church & Academy is a welcoming community offering traditional apostolic worship that still speaks to the needs of modern man. Saturday Evening Liturgies are celebrated in English. The main liturgical celebration of the week for the parish, Sunday Liturgies are celebrated with a full choir and is a mix of English, Arabic, and Syriac. Wednesday Evening Liturgies are celebrated in English, Arabic, and Syriac. Celebrated monthly in honor of the miraculous healings through the intercession of St. Sharbel, Liturgy is celebrated followed by a blessing with an icon of St. Sharbel, veneration of his relics, and the celebration of the Anointing of the Sick. If the 22nd falls on a weekday Liturgy is celebrated at 7:00 PM and if the 22nd falls on a weekend the devotion is celebrated immediately following the weekend Liturgy. Nestled in a quiet residential neighborhood in the Village of Tequesta, Mary, Mother of the Light Church is a vibrant community committed to traditional liturgical worship offered in beauty and truth. Email is the easiest way to contact our parish office.